May 2016 Board Meeting Minutes are available | East-Hills Business Association Inc.
February’s meeting was held on February 21, 2019 at Noon at Flair of Country. President, Melissa Bird opened the meeting. Motion to approve January 2019 minutes by Jeff Vaughn, seconded by Chad Kamler, approved by membership in attendance. Our treasurer’s report showed a balance of $3,306.52. Old Business: Chad Kamler reviewed different Facebook pages for content ideas and how to best utilize the social medical platform in the future. Chad will send out links via email. A request for members to offer their own website as examples was made to the group. Cliptations volunteered. Melissa Bird requested that members that utilize Facebook to please go out to the EBHA Facebook page and “like” the page. Please invite new members. Please remember, their first lunch attendance is complementary. If a member RSVP’s to lunch and is a no show, member will be billed. Members in attendance each took turns giving their 30 second commercials. New Business: Old and new officers had a transition meeting and an additional executive session prior to lunch to set association goals for 2019 year. Floor open to group to present any additional new business. No other new business presented. Donation Requests: Ed Porada spoke on behalf of Penn Highlands Putt a Palooza. Ed Motioned for a $50 donation, Stan Haberkorn seconded. Membership approved. Community Action Basket Party donation request. Melinda Novak motioned for $50 donation, Chad Kamler seconded. Approved by membership in attendance. After guest speaker presentation a motion was made by Roger Luther to make a $50 donation to fellowship of Christian Athletes, Jeff Vaughn seconded. Membership in attendance approved. Next meeting will be held on March 21, 2019 at Noon at Flair of Country. Next month’s free lunch winner is Jeff Vaughn. 50/50 winner was Missy Grose. O’Shea’s Candy giveaway winners were Kim Oleksa and Matt Lushko. Next month’s speaker will be Greg Karcher from the Family Kitchen. Motion to Adjourn: Stan Haberkorn and Jeff Vaughn. Januarys meeting was held on January 17, 2019 at Noon at Flair of Country. Melissa Bird introduced the officers and thanked everyone for attending. This months meeting consisted of elections of new officers. There were no minutes from December, in lieu of the Christmas Party. Our Treasurers Report showed $3,899.48 in our account. Old Business: Motion to approve $50.00 to every organization that asks for donations, Sue Henry and Chad Kamler motion to approve amount to each organization. Going to try to get away from using the website and focus more on Facebook and emails to communicate. This would be more cost efficient and easier to maintain. New Business: Members brought up a suggestion of trying to find volunteer opportunities for EHBA to help the community. Larry Crespo announced that FCA Banquet is coming up and if anyone can help donate, it would be greatly appreciated. A meeting will be held at a later date with the old officers and new officers to get materials switched over. Next meeting will be held on February 21, 2019 at Noon. Suggestion – member relations officer should be responsible for updating social media, etc. This month’s meeting was held on October 18, 2018 at Flair of Country Catering. We had 27 members present, some new faces were in attendance as well. Melissa welcomed everyone and introduced all officers. Missy Grose and Larry Crespo approved the meeting minutes for August and September. The Treasures report showed $3,474.44 in the account. Reminder to keep inviting new people! If you know that the guest is coming, please rsvp them. We will begin collecting names for the election coming up in December. We will discuss the open positions in more detail at November’s meeting. The Christmas party will be held on December 20th, 2018 at 6pm at Flair of Country. Ed Porada discussed that he found someone who may be interested in helping re vamp our website. He is finding out more details. 30 second commercials, had some new people who were introduced into the group. Our guest speaker was Brandy Smith, who is the Owner of Brandy’s Therapeutic Massage in Richland. She discussed the benefits of massage therapy and some health benefits as well. We were happy to have her as our guest speaker for this month. November’s meeting will be held on November 15th, 2018 at Flair of Country. There will be NO guest speaker in November and December. Bill Lehman from the Richland Fire Department was the guest speaker. He spoke about the duties of a firefighter, their training, and the expenses that it cost to keep a fire station open. At the end of the meeting, we had a motion to approve a donation of $50.00 to Richland Fire Department, approved by Mandy Keim and Larry Crespo. Next Months meeting will be held on October 18, 2018 at 12 noon. The guest speaker will be Brandy Smith from Brandys Therapeutic Massage. There will be NO guest speakers for remainder of year, Nov and Dec. Reminder to invite new members but be sure to register them for lunch if they are coming! Old Business: Missy Grose updated the group on the Duck Race Event. They raised approx. $30,000.00. The event was very successful and thanked EHBA for a donation. New Business: Toy Bash for Beginnings is still going on. We are still accepting donations. The scholarship opportunity, the officers of the EHBA do not feel that we are able to help one individual, we are able to help schools and other organizations, just not an individual themselves. We can change the bi laws but must use an attorney. We as members would not be allowed to apply for the scholarship. Mention of the Kiwanis and how they can send out flyers and market the scholarship, and we are not due to the funds available. We can try to fundraise more but we also need more participation to have the money to do a scholarship. Our guest speaker this month was Frank Duca from Frank Duca Funeral Home. He spoke about the funeral industry and explained some misconstrued theories or facts. He answered all questions that the audience had. The guest speaker for September will be Bill Lehman from the Richland Fire Department. September Free Lunch Winner is Chad Kamler. This month’s meeting was held on July 19, 2018 at noon. Our Vice President, Ed Porada, introduced the officers and thanked Flair of Country for hosting us. There were 22 people in attendance. Melissa Grose and Sue Henry approved the June meeting minutes. Our current treasurer’s report showed $4,029.00 in the account. The referral cards were handed out to members present. Toys/donations were collected for Beginnings Inc. If members forgot to bring to this meeting, they can bring next month. Melinda Novak took a box of chocolate covered strawberries and a free lunch card to $2.49 Bake Shop to congratulate them and see if they would be interested in joining our association. She will be doing that for any new business that comes to the East Hills area. Our guest speakers this month were Mike Kane and Katrina Perkosky from the Community Foundation for the Alleghenies. They spoke about their organization as well as how to start a scholarship fund. They also answered questions from the membership and passed out informational materials. Next month’s meeting will be on August 16, 2018 at Noon, Flair of Country. The speaker will be a Funeral Director from the Frank Duca Funeral Home, Inc. This months meeting was held on June 21, 2018 at noon. Our president Melissa Bird introduced the officers and thanked Flair of Country for hosting us. There were 26 people in attendance. Josh Yoder and Lynn Faint approved the May meeting minutes. Our current treasurers report showed $4,079.00 in the account. Our guest speaker this month was the Cambria County Coroner Jeff Lees. He spoke about his job duties and what his responsibilities are. He also discussed the heroine epidemic and what he is seeing in his line of work. Next months meeting will be on July 19, 2018 at Noon, Flair of Country. There will not be a guest speaker at July’s meeting. Melissa Bird introduced herself and welcomed everyone to the May Luncheon. There were 18 members and 2 guests present at this month’s meeting. Motion to approve April meeting minutes, 1st Melinda Novak and 2nd Jeff Vaughn. Our current treasurer report was $4,373.97. Melissa reminded members to invite guests to the meetings so we can grow the membership and to register for the meetings online. Members who took name tags last meeting to reach out to people who aren’t coming said they are still working on reaching out. Two students from Penn Highlands may be interested in working on our website. That will be an ongoing project and Ed Porada will provide an update next time he is in attendance. $2.49 Bake Shoppe recently opened in the East Hills plaza. Sue Henry suggested we send them a welcome basket and invite them to a free lunch. Karen O’Shea mentioned sending them chocolate covered strawberries instead. Motion to send chocolate covered strawberries, 1st Sue Henry and 2nd Larry Crespo. We had mail to pass around that asked for donations for different functions. Junior Achievement Program, YWCA Greater Johnstown and Community Arts Center of Cambria County asked for donations. We had a motion by Sue Henry to donate $50.00 to each organization. Stan Haberkorn gave a second motion to approve. We passed around the box of new business cards that we hand out to other people to invite them to lunch. All members were invited to take a few. Melissa will have the box of cards if anyone needs more or didn’t get them. 30 second commercials at the end of our meeting. Next month’s guest speaker will be Mike Kane from Community Foundation for the Alleghenies. He will be discussing how to start a scholarship for the organization. Next month’s meeting with be held on June 21st at Flair of Country Banquet Hall. Stan Haberkorn is next month’s free lunch winner. 50/50 winner was Andi Cveykus. Motion to adjourn, Sue Henry and Roger Luther. Melissa introduced herself and welcomed everyone to the April Luncheon. There were 24 members present as this months meeting. Last months minutes were approved by Alexis Mueller and Missy Grose. The month the candy money was due, concluding this sale. Melissa thanked everyone for participating. We had mail to pass around that asked for donations for different functions. Windber Medical Center asked for a donation. We had a motion by Larry Crespo to donate $50.00 to their golf outing. Chris Cameron gave a second motion to approve. The donation for FCA was discussed that Larry was supposed to receive it after March’s meeting. The donation had been mailed. We received a thank you letter from Community Action Partnership of Cambria County for our donation for their basket party. There was no guest speaker this month. We had a business meeting this month which we discussed various topics. The first topic was our website. Everyone agreed that it needs an updated and refreshed. Members spoke about not being able to have a confirmation when they registered for lunches. The website just needs a facelift and members discussed contacting UPJ or Penn Highlands students to see if they could redesign the website for us as part of their class. Ed Porada is going to reach out to Penn Highlands to see if they can redesign our website as part of their class. Others spoke up about what is our mission statement. Other members belong to groups that read their mission statement each meeting and we need to establish one for our organization. We once had business cards that we handed out to other people to invite them to lunch. They are being ordered through Kurt Weidlein. Melissa went through all the name tags that were not collected and members volunteered to reach out to them to see if they would consider joining again. 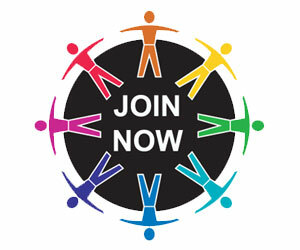 We are trying to get more members and reaching out to past members is a good start. Simply sending an email to reach out to them and see if they would like to come join. We are going to try to be more specific with donations. We will set a certain amount each time a donation is requested so that we can have more monies to have social gatherings to better network with our organization. Next months guest speaker will be Jeff Vaughn from Community Action Partnership of Cambria County. Next months meeting with be held on May 17th at Flair of Country Banquet Hall.